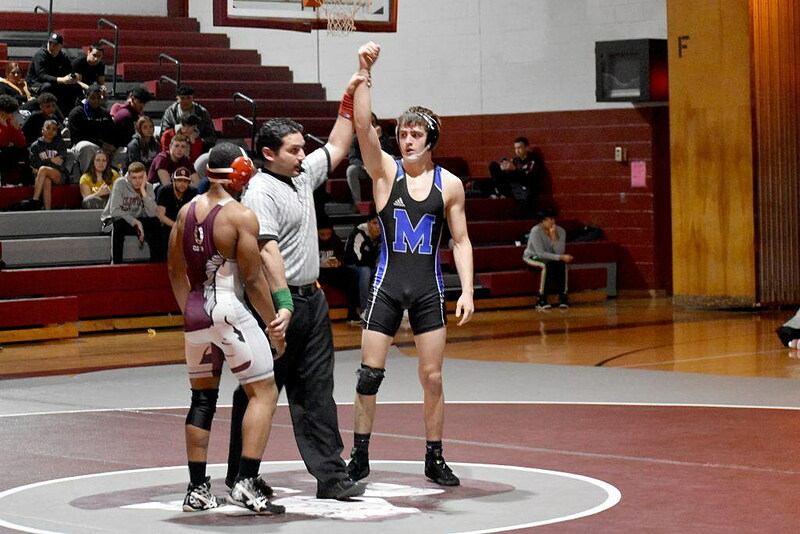 Mounties 126 pound wrestler Zakai Mack pinned Clifton’s Rohan Desai at the 4:40 mark of their match, scoring MHS six points. Second-year Montclair High School wrestling head coach Eugene Kline has worked hard over the course of his young tenure to build a family and team atmosphere around a sport that is often perceived as more of an individual effort. Kline said that he wants his wrestlers to feel they gave everything they had for their team and are able to look their teammates in the eye as they walk off the mat. That mentality can be the difference between losing and winning a match as a team. For the second year in a row, the Mounties made the N1G5 Team Sectionals. Kline said that while getting the invite is good, after two years he now will expect more. On the surface, the 56-15 loss to a top-notch Clifton team doesn’t seem competitive — even with four of MHS’ best wrestlers out — but if you look past the surface stats, there was a lot to be excited about. 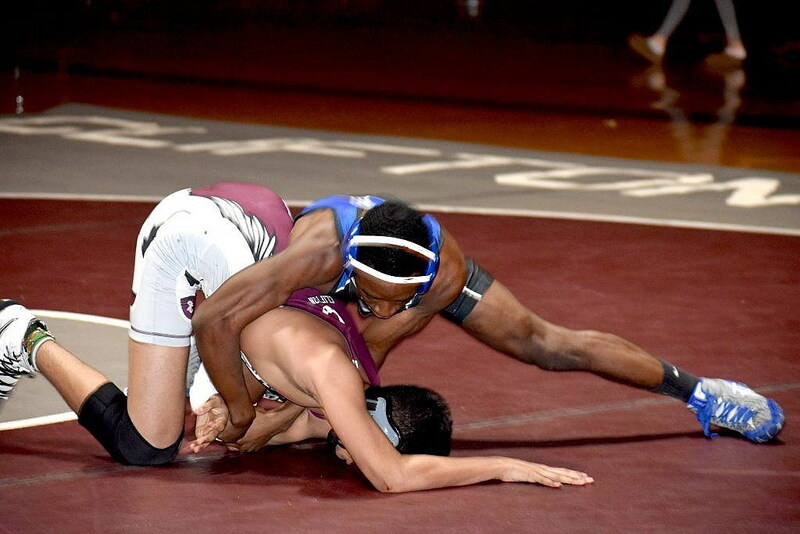 Zakai Mack and Thomas Rosenthal both won their matches, Mack with a Fall at 4:40 in the 126 pound weight class, while Rosenthal won a tight 1-0 decision in the 138 pound match. Like Rosenthal, Mack was someone Kline expected to step up. Mack and Rosenthal are two wrestlers Kline thinks could make some noise in the upcoming district meets as well, along with Terrell White and Dominic Diaz. While the team will be missing Sebastien Fortune and Abdul Hamilton, there’s still a chance the team could find ways to shine. Montclair’s Thomas Rosenthal took home a 1-0 decision over Clifton’s Ricky Moultrie in the 138 pound category during the Mounties quarterfinal loss in the North 1, Group 5 NJSIAA Sectional. At the end of the day, though, Kline was most pleased with how the team held each other accountable. That, more than the result, was what was most important to him.